Elianne is the first book I’ve read of best selling author Judy Nunn. Its set in the North Queensland cane fields in the 1960s and centres on the Durham family, patriarch ‘Stan the Man’, his wife Hilda and three children Neil, Alan and Kate. The story is told mainly from Kate’s third point of view and covers not only the lives of her and her siblings but also flashes back to her great grandmother’s life via journals Kate discovers when an old home on the property is pulled down. Its not the kind of thing I normally read but I wanted to see how a best-seller is written and also see how another writer tackles the subject of the much-hyped sixties. Its a well-researched story of the time and place and Nunn successfully evokes the romance of the Far North Queensland tropics and cane farming in the days before mechanisation. I thought more could have been made of the cane farming. Its an interesting topic and it seems a waste not to use the setting more. But Elianne is a fundamentally flawed book in a few different ways. Nun has done a lot of research on the Vietnam war, the protest era and the growing Indigenous rights movement. But so often this knowledge is downloaded as a big information dump over a few pages instead of being woven into the story. Or it is put into the mouths of characters as a cliched motherhood statement. Its a good lesson in how not to do it. From the books I’ve reviewed this past year, Kate Atkinson is good at incorporating period detail and so is Ian McEwan. The overriding fault of Elianne is the repetitiveness with which points about character and circumstance are made. For example, we are told not once, but over and over again, how Kate’s mother Hilda lives in a romanticised world that allows her to avoid reality. Its a real lesson in how important it is to strip out repetition from fiction and just let readers get the point once. Another thing I took issue with was point of view. Its third person, almost omniscient and we get inside the heads of all the main characters. In one scene, we get a character speculating on what another is thinking, then immediately jump into the head of that second character to learn that yes, that was what they were thinking. There’s absolutely no chance the reader is allowed to reach a false conclusion about these characters. The characters of the Durham family are fleshed out but two-dimensional. Kate and her brothers are saintly, virtuous souls with no flaws whatsoever, and father Stan the Man is predictably awful, although he does soften up by the end. The siblings, all three of them, are prone to falling in love with Italians, Aboriginals and Vietnamese women unacceptable to their domineering father, setting up a pretty predictable plot device to drive the narrative tension. And cliches abound, along with stilted language such as an Italian woman who grows all her own ‘produce’, the girl who’s ‘always had a way with animals’, and tropical Bundaberg is full of ‘bustling shops doing a roaring trade’. Yet for all that, the plot is compelling, woven as it was around the discovery in the diaries that all was not as it had been made out in family folklore back in the day when Elianne was first settled. It finishes in a visually spectacular climax that somehow lacked emotion, and yet, the final denoument was affecting enough to bring a tear to my eye, and that’s no mean feat for any writer to achieve. Or perhaps its just that I am as much of a sucker for sentiment as the next person, but this story certainly didn’t leave me with any provoking questions. Reading the reviews on GoodReads though, was interesting. Elianne is given four or five stars by most readers who are presumably getting exactly what they want from it. The most interesting thing to me was that most reviewers said they appreciated the historical detail of the era and learned things they didn’t know about Australia, so that’s surely a great endorsement, whatever else I could say about it. 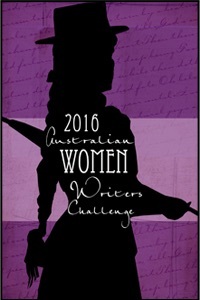 This entry was posted in Australian, Fiction and tagged 1960s, Australian fiction, bestseller. Bookmark the permalink.